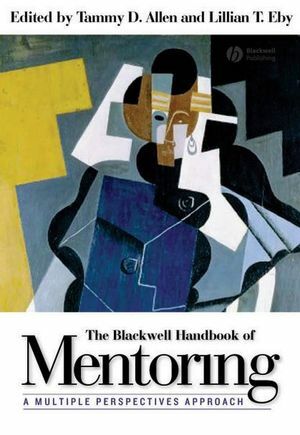 Cutting across the fields of psychology, management, education, counseling, social work, and sociology, The Blackwell Handbook of Mentoring reveals an innovative, multi-disciplinary approach to the practice and theory of mentoring. Tammy D. Allen is Professor of Psychology at the University of South Florida. Her research interests include mentoring relationships, work-family issues, organizational citizenship behavior, and occupational health psychology. Her research has been published in journals such as Journal of Applied Psychology, Personnel Psychology, and Journal of Vocational Behavior. Lillian T. Eby is Associate Professor of Psychology at the University of Georgia. Her research focuses on workplace mentoring, job-related relocation, career success, the work-family interface, and gender issues in organizations. She has published over 50 research articles and book chapters and her work appears in such outlets as Personnel Psychology, Journal of Applied Psychology, and the Journal of Vocational Behavior. 1. Overview and Introduction: Tammy D. Allen (University of South Florida), Lillian T. Eby (University of Georgia). 2. Definition and Evolution of Mentoring: Lillian T. Eby (University of Georgia), Jean E. Rhodes (University of Massachusetts, Boston), Tammy D. Allen (University of South Florida). Part II: Theoretical Approaches and Methodological Issues:. 3. Youth Mentoring: Theoretical Approaches and Methodological Issues: Thomas E. Keller (Portland State University). 4. Student–Faculty Mentoring: Theoretical Approaches and Methodological Issues: W. Brad Johnson (U.S. Naval Academy), Gail Rose (University of Vermont), Lewis Z. Schlosser (Seton Hall University). 5. Workplace Mentoring: Theoretical Approaches and Methodological Issues: Terri A. Scandura (University of Miami), Ekin K. Pellegrini (University of Missouri-St. Louis). 6. Reflections on the Theoretical Approaches and Methodological Issues in Mentoring Relationships: Marcus M. Butts (University of Georgia), Jaime R. Durley (University of Georgia), Lillian T. Eby (University of Georgia). Part III: Naturally Occurring Mentoring Relationships:. 7. Naturally Occurring Mentoring Relationships Involving Youth: Renée Spencer (Boston University School of Social Work). 8. Naturally Occurring Student–Faculty Mentoring Relationships: A Literature Review: Carol A. Mullen (University of South Florida). 9. Naturally Occurring Mentoring Relationships Involving Workplace Employees: Thomas W. Dougherty (University of Missouri-Columbia), Daniel B. Turban (University of Missouri-Columbia), Dana L. Haggard (University of Missouri-Columbia). 10. Reflections on Naturally Occurring Mentoring Relationships: Elizabeth Lentz, Tammy D. Allen (both University of South Florida). Part IV: Benefits of Mentoring:. 11. The Benefits Associated with Youth Mentoring Relationships: Lynn Blinn-Pike (Indiana University-Purdue University). 12. Student–Faculty Mentorship Outcomes: W. Brad Johnson (U.S. Naval Academy). 13. The Benefits Associated with Workplace Mentoring Relationships: Aarti Ramaswami (Indiana University-Bloomington), George F. Dreher (Indian University-Bloomington). 14. Reflections on the Benefits of Mentoring: Angie Lockwood, Sarah C. Evans, Lillian T. Eby (all University of Georgia). Part V: Diversity and Mentoring:. 15. Diversity and Youth Mentoring Relationships: Belle Liang (Boston College), Jennifer Grossman (Harvard Medical School/Massachusetts General Hospital). 16. Mentoring in Academia: Considerations for Diverse Populations: William E. Sedlacek (University of Maryland), Eric Benjamin (Montgomery College), Lewis Z. Schlosser (Seton Hall University), Hung-Bin Sheu (University of Maryland, College Park). 17. Diversity and Workplace Mentoring Relationships: A Review and Positive Social Capital Approach: Belle Rose Ragins (University of Wisconsin-Milwaukee). 18. Reflections on Diversity and Mentoring: Hazel-Anne M. Johnson, Xian Xu, Tammy D. Allen (all University of South Florida). Part VI: Best Practices for Formal Mentoring Programs:. 19. Best Practices for Formal Youth Mentoring: Andrew Miller (Middlesex University). 20. Best Practices for Student–Faculty Mentoring Programs: Clark D. Campbell (George Fox University). 21. Best Practices for Workplace Formal Mentoring Programs: Lisa M. Finkelstein (Northern Illinois University), Mark. L. Poteet (Organizational Research & Solutions). 22. Reflections on the Best Practices for Formal Mentoring Programs: Kimberley E. O’Brien, Ozgun B. Rodopman, Tammy D. Allen (all University of South Florida). Part VII: Integrating Multiple Mentoring Perspectives:. 23: New Directions in Mentoring: Steve Bearman (University of California, Santa Cruz), Stacy Blake-Beard (Simmons College), Laurie Hunt (Laurie Hunt & Associates/Simmons College), Faye J. Crosby. 24. Common Bonds: An Integrative View of Mentoring Relationships: Tammy D. Allen (University of South Florida), Lillian T. Eby (University of Georgia).